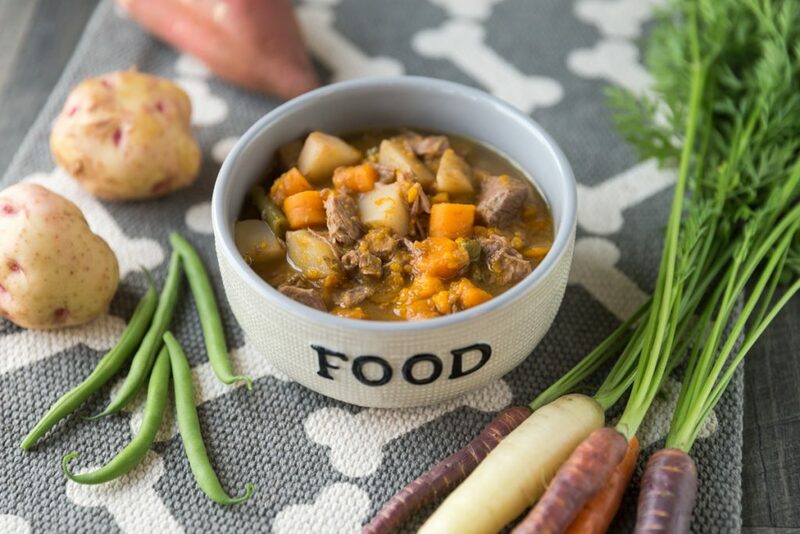 Yesterday I decided to make the dogs beef stew to celebrate Kingsley’s 4th birthday! I could tell the dogs were going to love it, because they hovered around the slow cooker for hours while it simmered away! When the stew finally finished cooking, I put some aside to cool off for the dogs. And that’s when the thunderstorm rolled in. Grizz is terrified of thunderstorms. This has been a really lousy summer for storms because they happen nearly every day, and they return with a vengeance in the middle of the night. When Grizz gets stressed like this, he won’t eat. It’s how I know he’s in one of his “zones”. 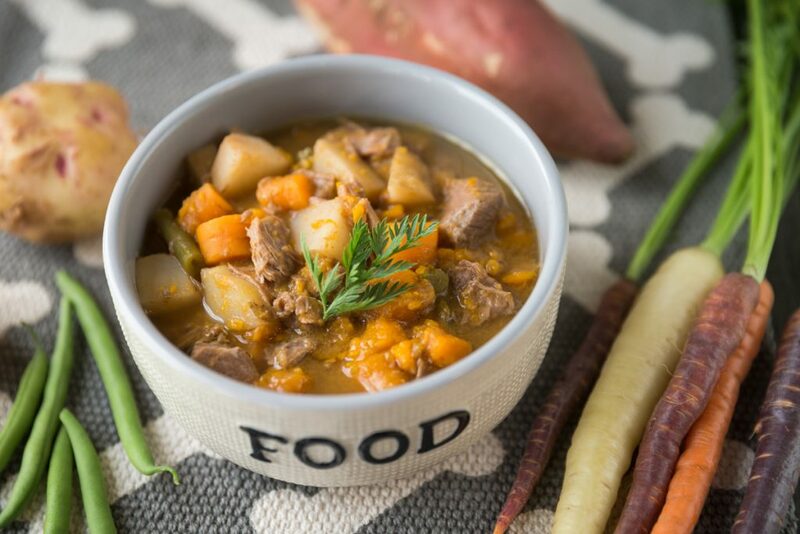 This stew makes a great topper for kibble, or you can freeze it in ice cube trays for a yummy cool treat, or feed it as a meal to occasionally mix things up a little! Feel free to use lamb or pork meat in your stew if you prefer! Place all ingredients into a slow cooker or instant pot and slightly cover with filtered water. 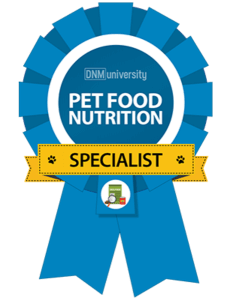 diet disclaimer: I am of the school that a varied diet is best for dogs, and if you can manage balanced diets 80% of the time, you’re golden! 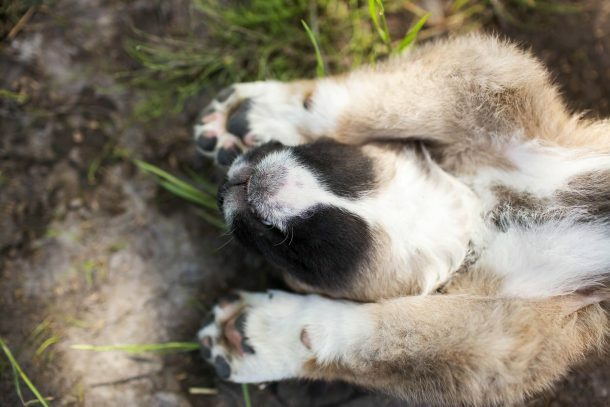 This stew has never been nutritionally analyzed, so consider it part of your dog’s 20%!